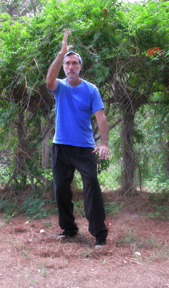 Level 1 is designed to teach the basic movements of the Wu style short form. 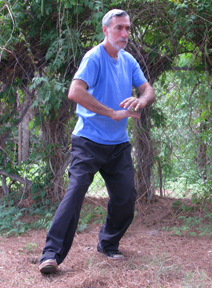 This is a perfect Tai Chi form for beginners. The Wu style short form consists of a sequence of 18 precisely choreographed movements practiced in a slow meditative manner, taking about four minutes to perform. This sequence of movements is specifically designed to help you develop calmness, flexibility, balance, coordination, ease of movement and stamina. Level 2 adds greater depth to the short form, releasing major contractions of the body while smoothing out major exaggerations. We begin the work of balancing the left and right sides of the body, stabilizing the legs and spine and incorporating the cadence of bending and stretching into the form. This is a class of instruction for the traditional long form of the Wu style. 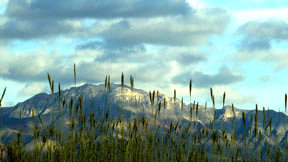 It is a powerful small frame form filled with internal content. This form was passed through the Wu lineage from Wu Chien Chuan to Liu Hung Chieh. Liu formally passed his lineage to Master Bruce Frantzis. Steve Barowsky who teaches the classes at the Center For Internal Arts is a senior instructor for Master B.K. Frantzis. In the Tuesday evening session we focus on form instruction and correction. The focus of the Thursday evening sessions are the partner practices of Wu style Tai Chi with an emphasis on training sensitivity and understanding of the basic energies of Tai Chi through the use of the traditional sequence of patterns from Wu Style push hands. This is a class for the study of the traditional Yang family long form. This is a very open comfortable form. The emphasis is on releasing tension, balance, grounding, lengthening the body, gathering energy and centering. Level 1 is designed to teach the basic movements of the Wu style short form. The Wu style short form consists of a sequence of 18 precisely choreographed movements practiced in a slow meditative manner, taking about four minutes to perform. This sequence of movements is specifically designed to help you develop calmness, flexibility, balance, coordination, ease of movement and stamina. Level 2 adds greater depth to the short form, releasing major contractions of the body while smoothing out major exaggerations. We will begin the work of balancing the left and right sides of the body, stabilizing the legs and spine and incorporating the cadence of bending and stretching into the form. Private classes can also be arranged for individuals or small groups. The instruction will be designed to meet your interests and needs. This is the most efficient way towards self improvement. Classes are tailored to your individual needs.